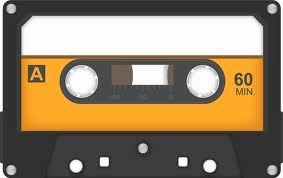 It's the 1980s and Rainbow Rowell takes us into the world of mixed tapes, comics and scribbles on school books. New girl, Eleanor, runs the gauntlet of the big yellow school bus when she steps on, mid term. An individual character, and with no aspirations to become one of the cool kids, she faces ridicule before she even finds a seat on board. Assistance comes from an unlikely source, Park, a half Korean kid who sees something in her which piques his interest. Here begins a story of two teenagers, both feeling different to their peers, both with internal struggles but from very different backgrounds. A mutual love of music and comic books marks the beginning of a very special friendship, against all odds. Marketed as a Young Adult book, I am glad I didn't pass on the chance to read this novel. It sucked me back in time to my teenage years and although I grew up in Ireland, rather than America, there were so many moments that I could remember as being a part of my life. MTV playing music videos for the first time, the joy of listening to a favourite LP on my stereo and the hours upon hours that I spent creating mixed tapes for friends and my boyfriend. Without a doubt, the author blew me away with her awareness of the pure intensity of young, first love. Who remembers that feeling when you had to say goodbye at the end of the day and kissed as if it was your last moment on earth? Who remembers lying in bed, reliving every minute of the time that you had spent with your first love? The pain in your heart when you thought you would be grounded for ever and might not be able to touch the love of your life ? The eternal wait for the phone to ring in the hallway? The disapproving looks from a parent and the complete belief that they could never have felt anything as powerful about their first loves, all those years ago? The certainty that no one could be as in love as you were at that exact moment? I had forgotten that all consuming feeling, when all I had to worry about was when I could next see my boyfriend. Not another thing in the world to concern myself with. The character of Eleanor had a lot more to deal with, in this book, than I ever did, but her devotion to Park, and the thoughts that entered her head, did resound with me. Park had a less traumatic upbringing but his love for Eleanor was no less intense. He struggled with his identity and his place in a mixed race family, unlike his brother, but he was living in a cocoon of safety and love. 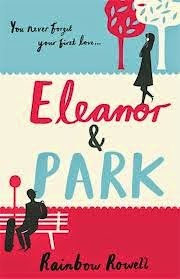 Eleanor takes one day at a time and Park is her saviour, her light at the end of the tunnel. Every teenage girl should be lucky enough to have at least one Park in their lives. When I finished this book yesterday I grieved. For the story, for the characters and for young love, worldwide. I am now married to the most wonderful, amazing and caring man I have ever met and he is my Park, despite us not being teenagers. We, adults, have grown-up distractions like kids, bills, daily trials and routines, and sometimes we forget that unadulterated feeling of intense love and desire we felt all those years ago. After reading this, they all came back to me in a rush of memory. Maybe us grown ups should stop for a moment, every once in a while, and let those memories in again. Head on up to your attic, grab your LPs or cassettes and escape to the teenage world of music, love and carefree existence. I cannot recommend this novel enough. Seriously.